The Quality Service Guarantee is your written commitment from your sales associate assuring the delivery of all of the services described below. Offer to arrange pre-qualifying or pre-approval meeting with a lender to determine affordability range and improve negotiating position at the point of offer. Commit to priority availability for meeting your needs and schedule for property research and showings. Complete a thorough market search to identify all properties consistent with your needs and price range. Prepare a written Competitive or Comparative Market Analysis for you prior to you making an offer. Accompany you on walk-through property inspection before closing, if provided for in the contract. Attend the closing or escrow (in those states where this is customary). Offer the opportunity to evaluate the service provided through the Quality Service Assurance Survey™. 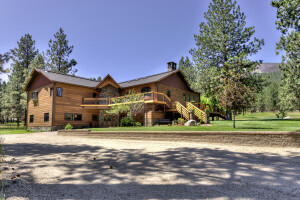 If you’d like more information about the buyer guarantee for Montana luxury homes and more, please contact me here.